The Short Version: Whether you’re worried about not saying the right thing in a message or wearing the wrong outfit to dinner, dating can be intimidating if it feels like the spotlight is only on you. The Double app strives to take that pressure off — letting you and a friend create a joint profile, swipe for matches, take part in group chats, and go on dates as a duo. With a supportive confidant by your side, you can focus more on having a great time and showcasing your real personality — and less on traversing potentially awkward situations by yourself. In mid-2014, Ben Greenock, Loren Gould, and Gary MacDonough were in Scotland hanging out with some friends when the topic of dating came up. One woman, Amy, was on Tinder, swiping and matching with a lot of men but never went on dates with them. Not because she didn’t like them or anything — she just felt unsafe and weird about meeting a stranger by herself. That’s when she turned to mutual friend Rebecca and said, “If only you could come with me and meet one of his friends, too.” It was that simple comment that became the inspiration for Double, an app where each person brings a friend to the date. 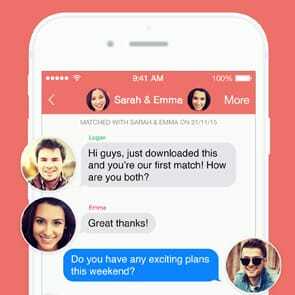 Ben Greenock, Loren Gould, and Gary MacDonough launched the Double dating app in 2015. 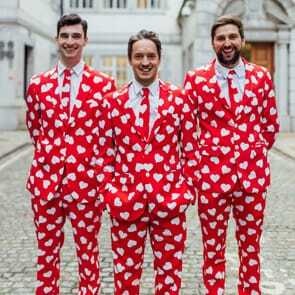 Pooling money from their personal savings and an ugly Christmas sweater business, Ben, Loren, and Gary launched Double in the United Kingdom in 2015 and had 5,000 sign-ups within the first three days. 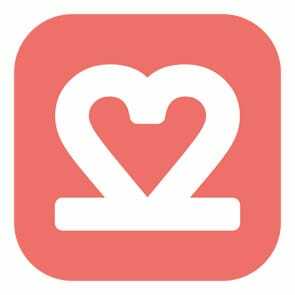 Now it’s one of the most popular location-based dating apps in the U.K. as well as New York City — seeing over 250,000 swipes and 40,000 messages a day and receiving more than 200,000 downloads from The App Store and Google Play. 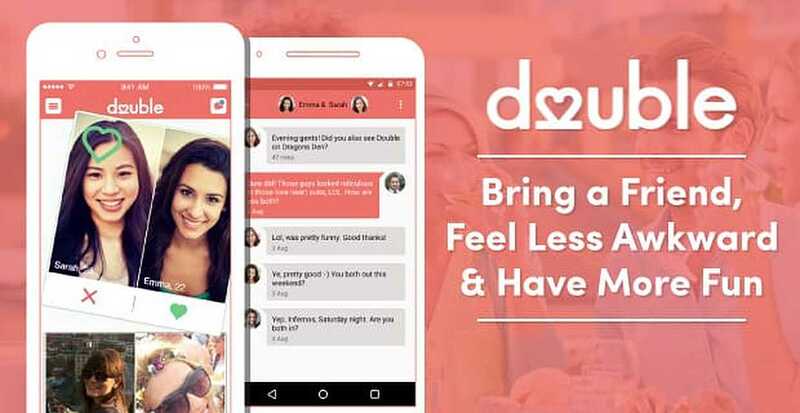 Most importantly, Double is making dating safer, more enjoyable, and way less stressful. Having the support of a friend there, singles don’t have to feel pressured to say the right thing and be the perfect person. Instead, they can just concentrate on being themselves and putting their best foot forward. “The hero moment of the app,” as Loren likes to say, is the chat feature, where all four people can join in on the date planning. Having everyone involved also allows for more light-hearted, flirty conversations to take place sooner. “If someone says a really cheesy pickup line, that’s awesome because their friend will totally come in and shoot them down. It acts as a really good icebreaker. Immediately, conversations are flowing and people are more natural,” he said. With collaborative features like this and a unique concept overall, Double has become very popular among younger singles. The app sees 55,000 active users a month and growing, with 95% of members in the 18-to-30 age range and only 5% in the over-30 age range. Once two pairs like each other, they can use the group chat feature to start the date planning. “These days, especially younger people, it’s how you date in college. It’s going out in groups and meeting people that way. What we’re providing is very much what the younger demographic is looking for,” Loren said. But with everything done as a duo, understandably, the most common question Loren gets is “What if me and my friend like the same person?” He assured us that it doesn’t happen as often as one might think. “People seem to think if someone likes the same person in a group, the apocalypse is coming — that you’re going to lose your friend, and it’s all just going to go terribly,” he joked. The success stories certainly outweigh the few concerns the app receives, with Loren’s favorite being one about two sets of Doublers who decided the first time they’d meet would be in the airport for a weekend trip to Amsterdam. Double has a small but powerful team, with folks based in London as well as the emerging tech scene in Edinburgh, Scotland. Gary and Loren cover most of the PR, Ben handles product design, and several developers, marketers, and designers round it out. An admirable trait about the company that we really love is their desire to put members first and their ability to recognize areas that need improvement — they’re never content with remaining static. The folks at Double constantly push themselves to enhance the online dating experience for users. “We’re very honest here. Hopefully, we’re a nice group of people to work for. I think mostly, though, we’re wanting to learn from each other,” Loren said. Some of those upcoming improvements include allowing people to sign up through Instagram, add more photos, and send ready-made — yet personalized — icebreakers (e.g., what’s your most embarrassing story?). “For us, it’s all about personalizing the experience more. We have an opportunity to personalize the app… so people have more choice in who they go out with. Kind of like optimizing your dating profile but on a totally different level. Who’s the person who complements you the most? Not, what are your best-looking photos?” Loren said. Having this mindset is what will push the Double team closer to their ultimate goal — making dating more comfortable and fun for singles who might be cautious about venturing into it without any support, like their friend Amy was.